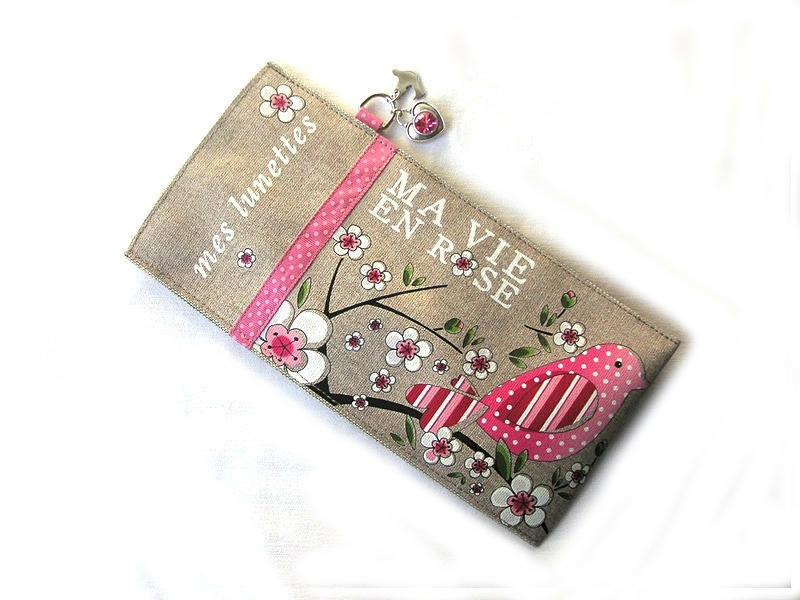 Linen glasses case "my vie en rose"
The back with magnetic snap closure. 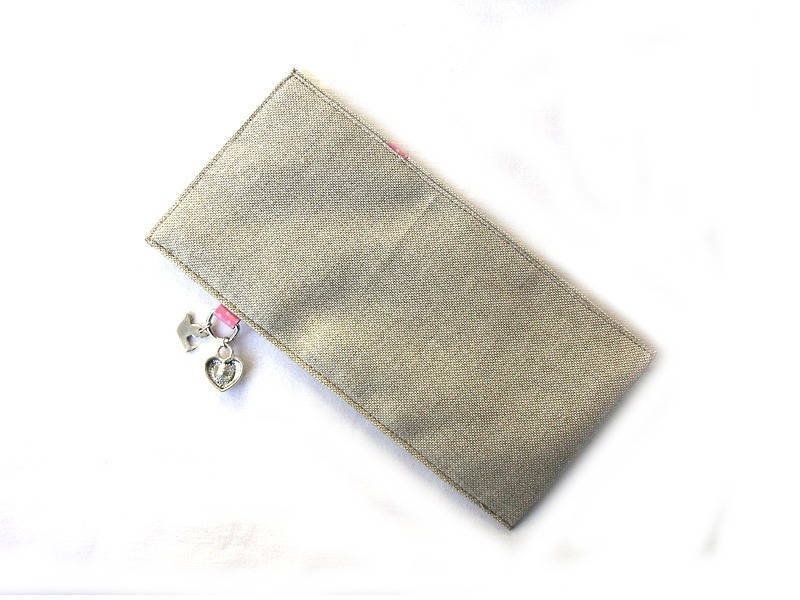 Ribbon with dots and small ring on the side with two charms in antique silver (pink flower and bird). The illustration shows a bird in a cherry blossoms in shades of pink with inscription "my vie en rose"